Jose Rizal (1861-1896)Philippine National Hero. Born on 19 June 1861. Doctor, Poet, Writer, Educator, Linguist, Inventor. Authored novels Noli Me Tangere (1887) and El Filibusterismo (1891) which bared colonial oppression of the Filipinos. He advocated nonviolent struggle for freedom but was charged with inciting dissent. The living soul of the 1896 Philippine Revolution, he was executed on 30 December 1896. 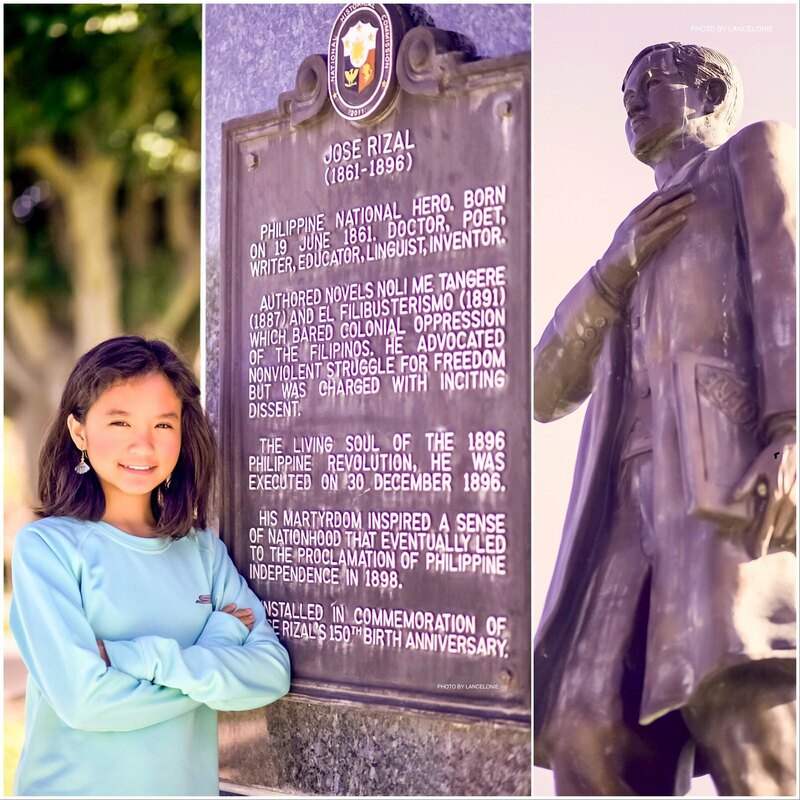 His martyrdom is inspired a sense of nationhood that eventually led to the proclamation of Philippine Independence Day in 1898. Installed in commemoration of Jose Rizal's 150th birth anniversary.